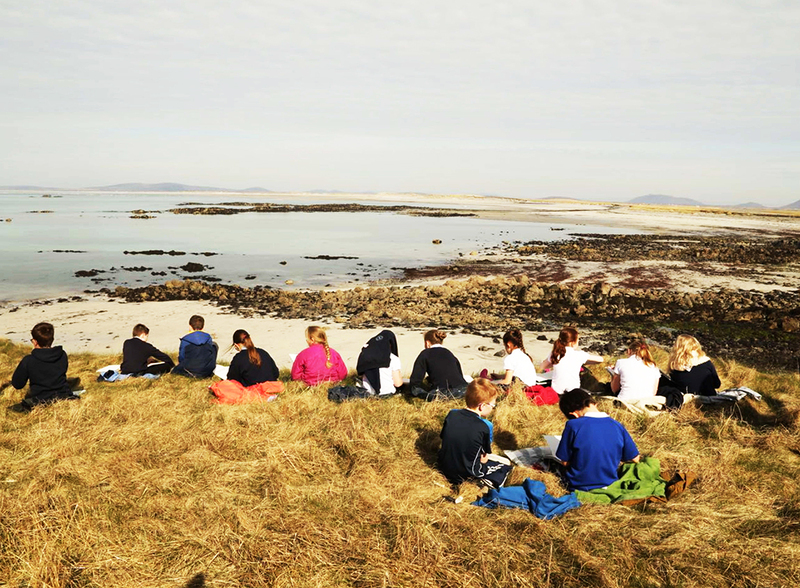 An Cuan Sgìth is a two year visual arts exchange project between young people from Bunsgoil Shlèite, Skye and Bunsgoil Baile a’ Mhanaich, Benbecula. 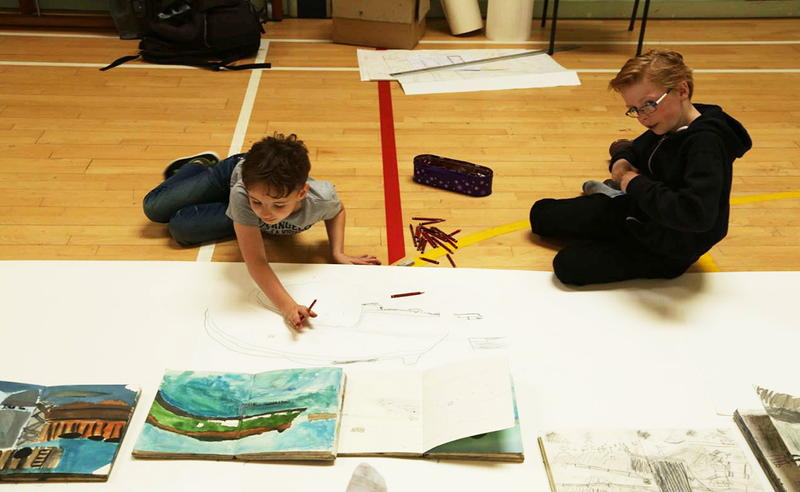 The pupils worked with professional artists Julie Brook, Kate Macdonald and Kath MacLeod, arts development officer at Sabhal Mòr Ostaig through the medium of Gaelic, led by Lasair Ealain and supported by Sabhal Mòr Ostaig. 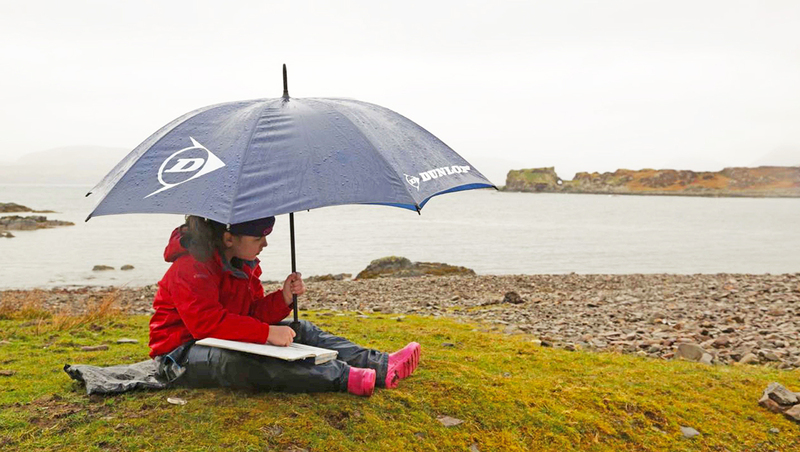 After a series of drawing and painting workshops in their own landscapes the children from Bunsgoil Shlèite visited the pupils in Benbecula for three days enabling the children to work together with the artists in different sites, share evening activities through Gaelic and make new friends. 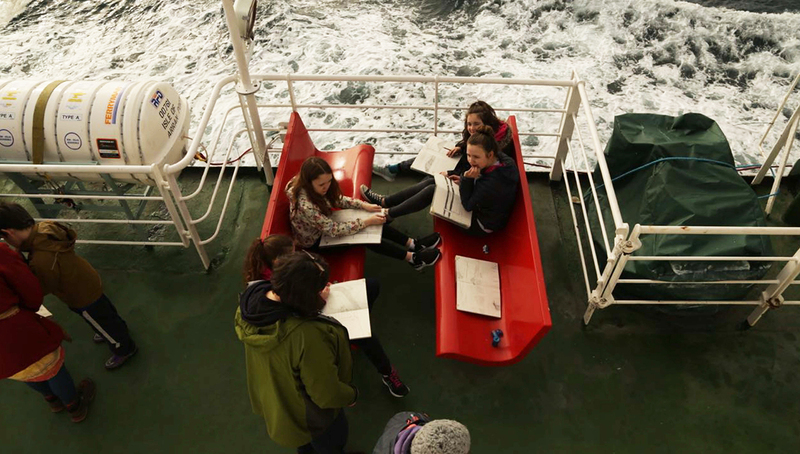 At the end of the visit the Balivanich pupils made the ferry journey across to Skye over An Cuan Sgìth (The Little Minch) drawing on the ferry with the Skye pupils and their teachers. 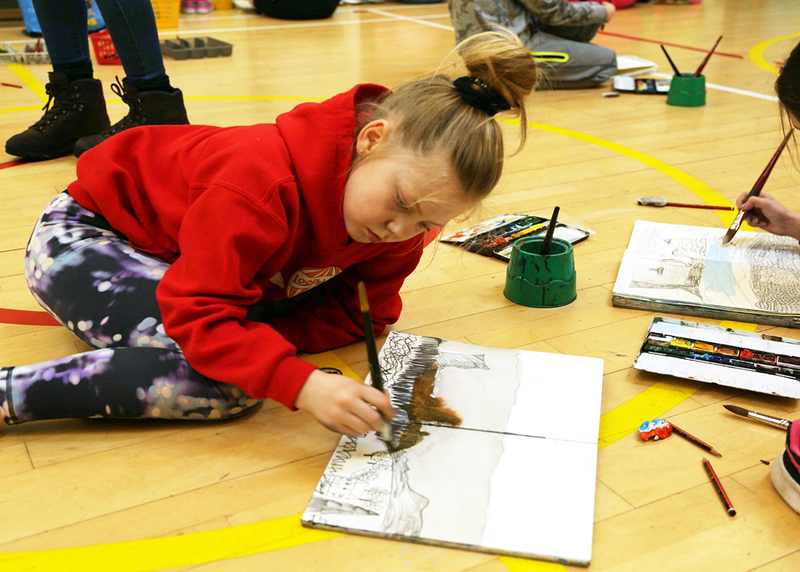 Subsequently each group learnt how to create compositions of specific areas of their landscape based on a number of their sketchbook drawings, enabling the children to collaborate and work together on large scale charcoal drawings. The sketchbooks, framed A1 drawings, large scale charcoal compositions and a film of the project will form the exhibitions that express their artistic and physical journey, in Taigh Chearsabhagh, North Uist and Sabhal Mòr Ostaig, Skye this year. 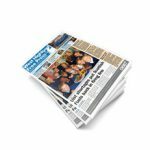 The project has been funded by Bòrd na Gàidhlig, Western Isles Council, Young Films, Lasair Ealain. 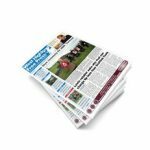 Taigh Chearsabhagh is funded by Creative Scotland, Comhairle nan Eilean Siar, and Highlands & Islands Enterprise.